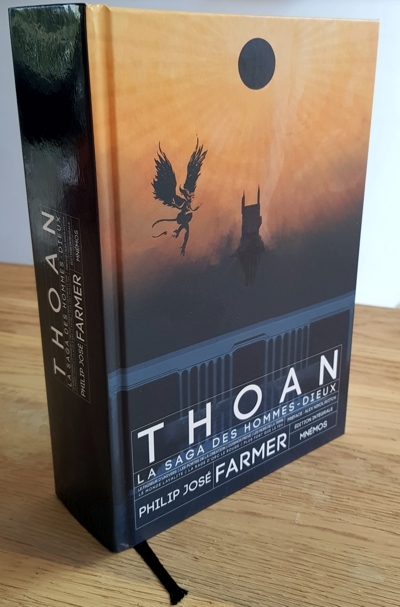 Publisher Mnémos in France released in February the omnibus Thoan, la saga des Hommes-Dieux. This one contains all seven novels of the World of Tiers series: Le faiseur d'univers (The Maker of Universes) - Les portes de la création (The Gates of Creation) - Cosmos privé (A Private Cosmos) - Les murs de la Terre (Behind the Walls of Terra) - Le monde Lavalite (The Lavalite World) - La rage d'Orc le Rouge (Red Orc's Rage) - Plus fort que le feu (More Than Fire). The omnibus counts 1021 pages and cost €35.00. You can order it through Amazon.fr (ISBN 978-2-35408-614-5). «Meteor House, as a part of the yearlong celebration of the 100th anniversary of the birth of Philip José Farmer, is thrilled to announce the first hardcover publication of his authorized Tarzan novel, Tarzan and the Dark Heart of Time—a book that takes place in 1918, the year of Farmer’s birth! 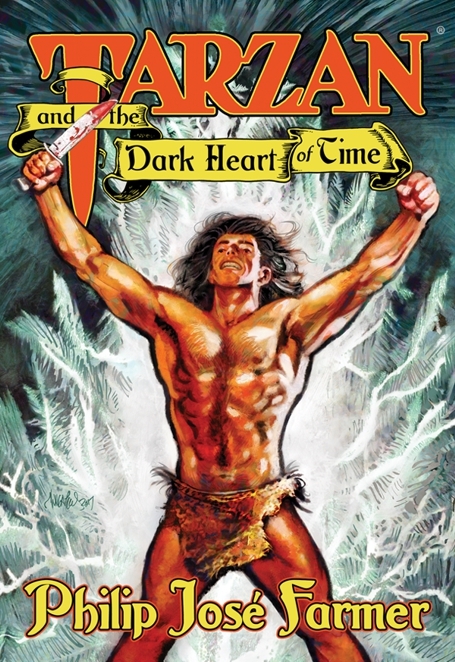 The book, a reissue of The Dark Heart of Time (1999), will be released at FarmerCon 100, held in conjunction with PulpFest 2018 in Pittsburgh, PA, July 26-29. Hardcover for $35, and the trade paperback for $20. You can preorder them now at Meteor House! Christopher Paul Carey has sent off the manuscript of The Grandest Adventure: Writings on Philip José Farmer 1996-2018 (the tentative title) to the publisher. Chris: "Wow, what a trip down memory lane that was to write the preface and read through the manuscript! More than 76,000 words!" No further details at this moment, other than that it may be published in the Summer of 2018. 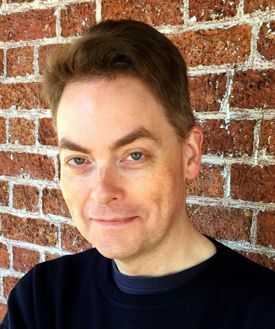 As I understood from Chris it will not be published by Meteor House. 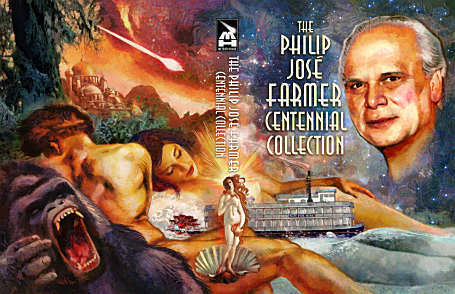 Publisher Mnémos in France released a third omnibus with novels by Philip José Farmer. 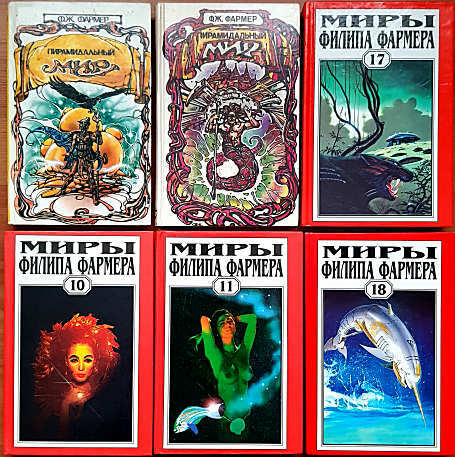 In 2016 they published the five Riverworld novels as Le Monde du fleuve, and the three Opar / Khokarsa novels as Opar. And now in 2018 they have the omnibus Thoan. 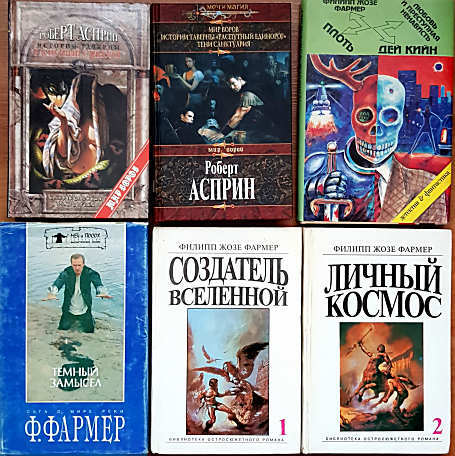 This contains all seven novels of the World of Tiers series: Le faiseur d'univers - Les portes de la création - Cosmos privé - Les murs de la Terre - Le monde Lavalite - La rage d'Orc le Rouge - Plus fort que le feu. I ordered the book, and received the confirmation that it has been sent. As soon as I receive it I will add the information in the Bibliography. The omnibus has about 1200 pages and cost €35.00. You can order it through Amazon.fr (ISBN 978-2354086145). From the Russian online shop Ozon.ru I received, within a week, two parcels with twelve books from Russia and Ukraine. All are hardcovers. The books, omnibuses and anthologies, are already known and included in the bibliography. I will check the data in the bibliography against the books, and correct these if necessary. Also will replace the covers with my own scans. And I need more bookshelves. Meteor House is celebrating Farmer's 100th Birthday with a huge collection. Nearly 950 pages with 58 pieces of short fiction and non-fiction, all by the Grand Master Philip José Farmer. This book, The Philip José Farmer Centennial Collection, will be released at FarmerCon 100, July 26-29, 2018, in Pittsburgh, PA. 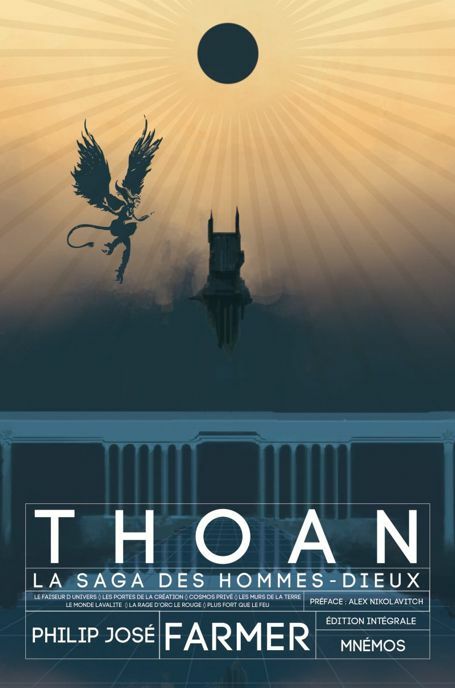 I love the cover, done by Mark Wheatly. You can preorder one of the editions, or both of course, now. It is $50 for the hardcover and $35 for the trade paperback, plus shipping. I wonder if Meteor House has more surprises for us this year.